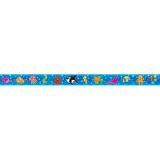 Get into the swim of the school season! 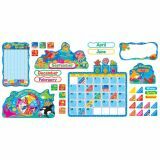 This set comes with a unique cast of underwater characters to help you introduce colors, counting, size relationship, and diversity. 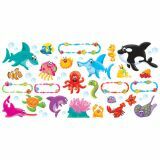 Pieces include 21 Sea Buddies™, 5 blank signs, and 21 bubbles. 47 pieces.